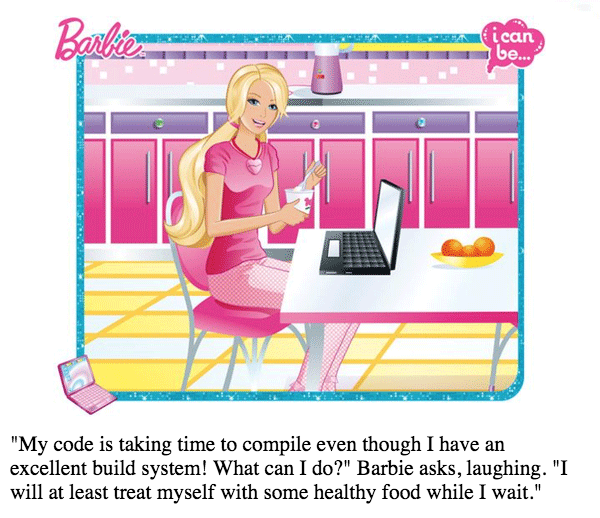 "My code is taking time to compile even though I have an excellent build system! What can I do?" Barbie asks, laughing. "I will at least treat myself with some healthy food while I wait."